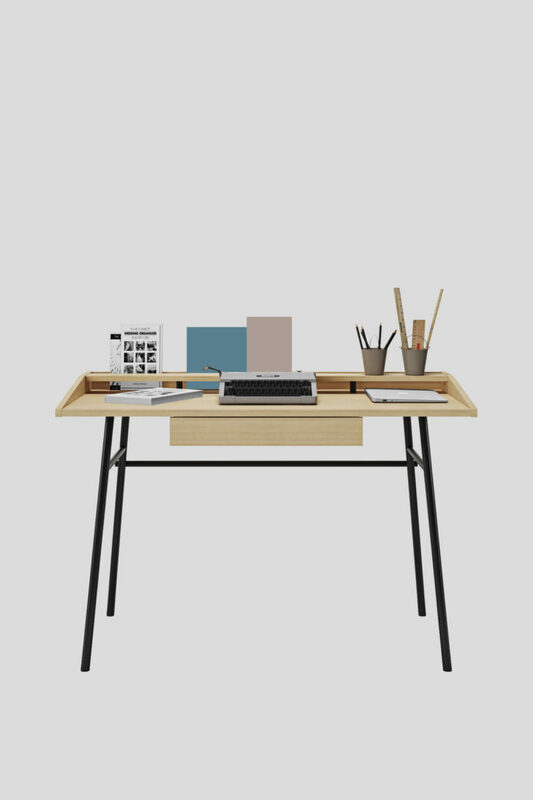 Designer Pavel Vetrov’s UFO Lift desk designed for Russian home decor brand Zegen is a refreshingly contemporary reinterpretation of the standing desk subtracted of many of the more unsightly elements associated with working from a computer while standing up. 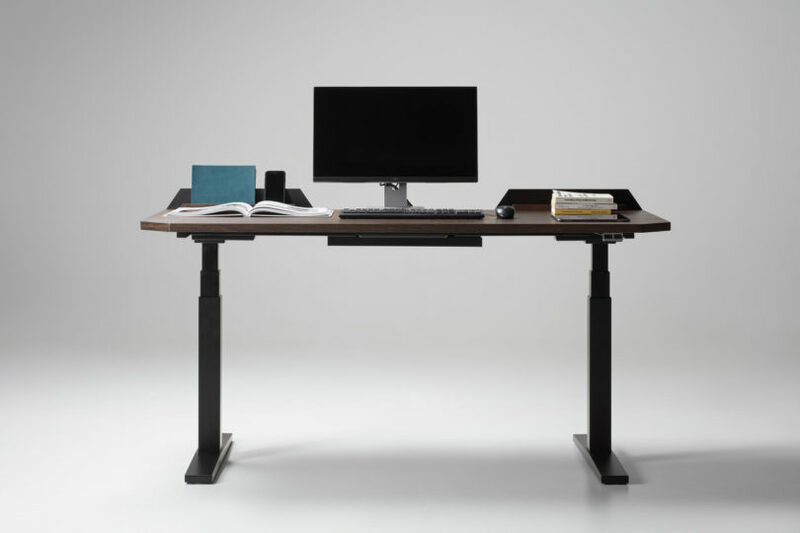 Complete with a work surface designed to lift or return to a seated position at the touch of a button, its modern design is partnered with an integrated vertical storage and display system that gives users an easy sight line to their sidekick mobile device screens. 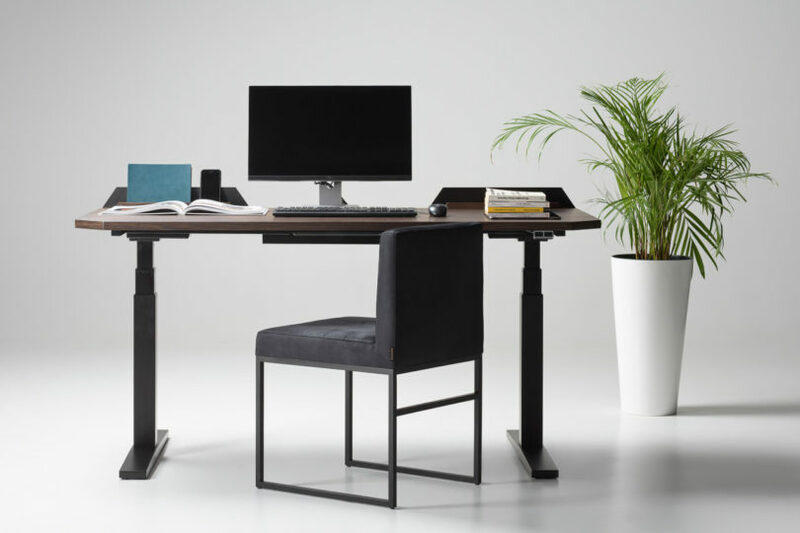 The UFO Lift’s metal frame with wood top design is partnered with a two-button lift motor inviting users to switch between sitting and standing with ease. 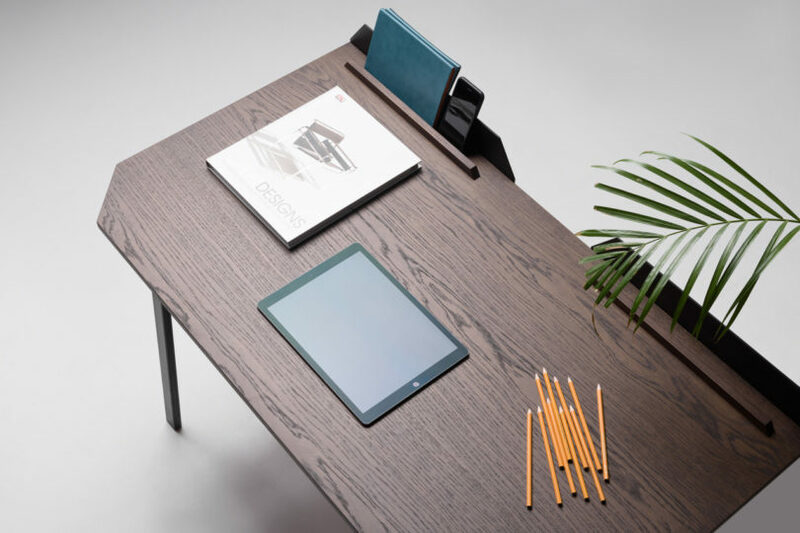 A stretch of multi-functional metal stands positioned at the back of the desk surface is designed to hold phones, tablets, or books upright, open, and at arm’s length while working. 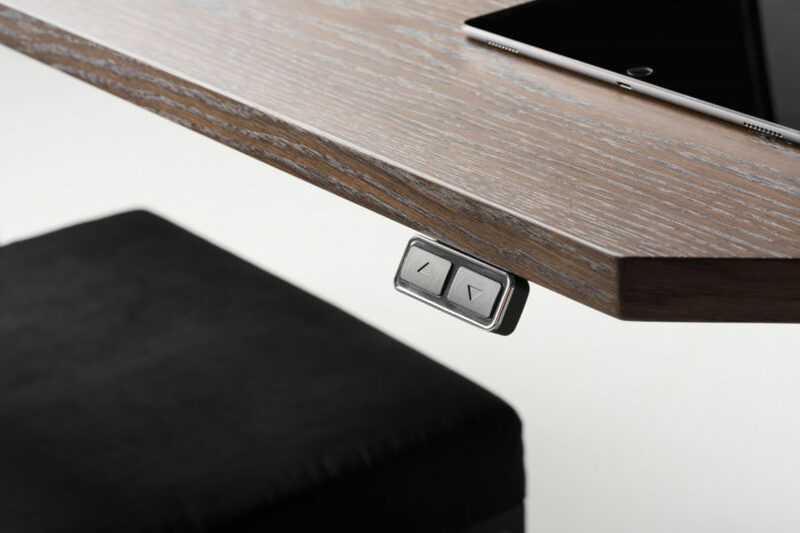 The limitations of a single drawer underneath won’t allow for an excess of clutter (at least in theory), while a cord management system keeps the wires and cables typically associated with the use of computers, laptops, and other mobile charging systems out of sight. 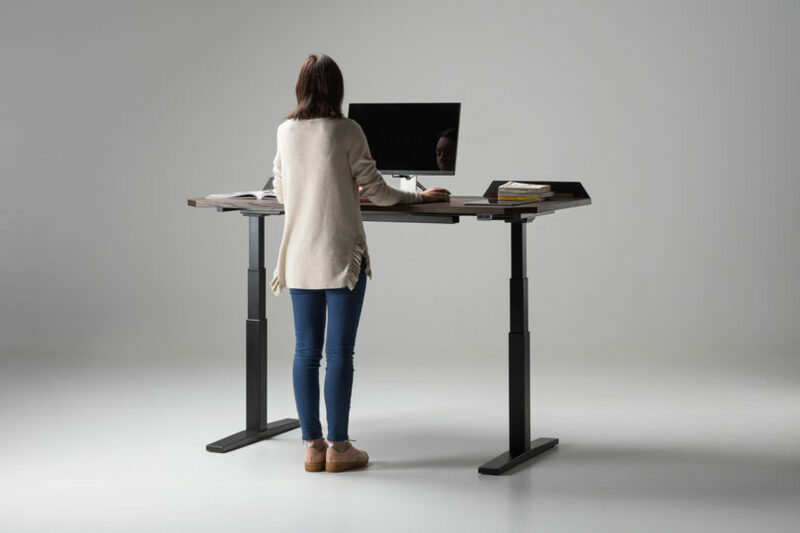 If the UFO Lift doesn’t look quite like other standing desks, that’s because Vetrov’s design was altered from a non-mechanized standard UFO desk for those who do not need the standing desk feature but still want the desk’s integrated display and storage feature. 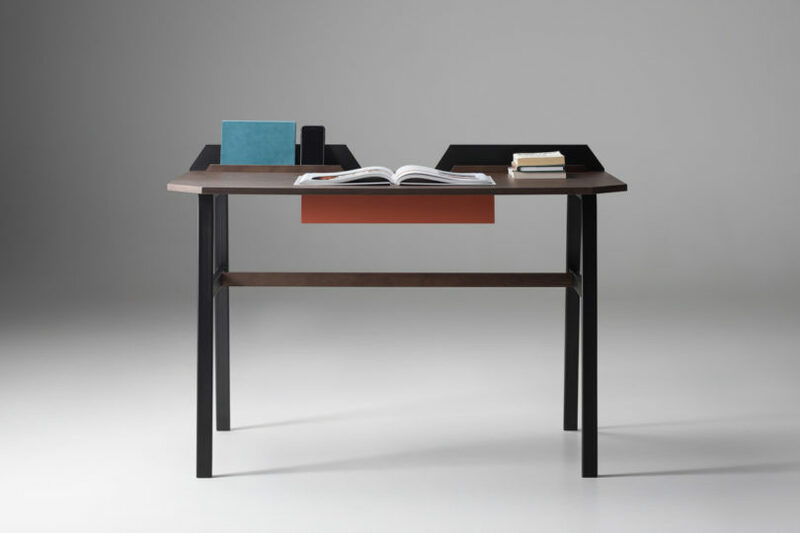 Vetrov also designed the Ply, a slightly less substantial desk design for Temahome, featuring a shallower depth surface area, thinner weight metal legs, lighter wood veneer finish, but sporting a similar back-end stand and surface display system to its unidentified floating object sibling. 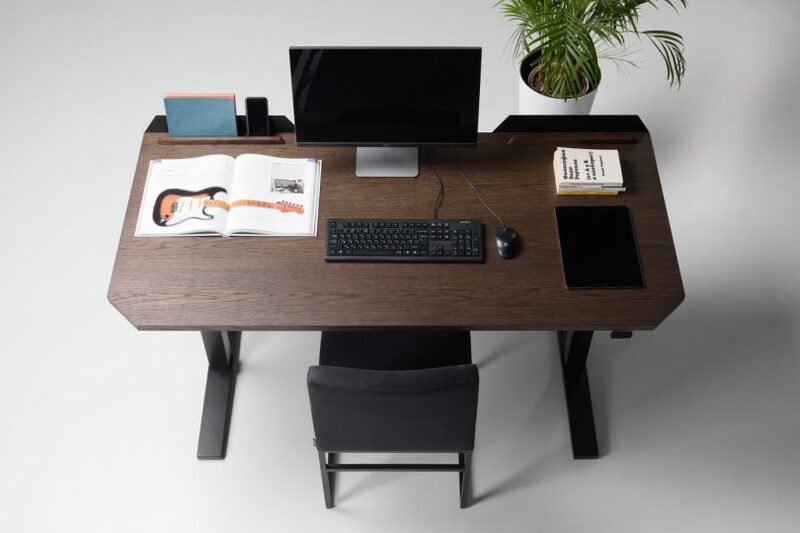 We’ll gladly work behind any of these three desks Vetrov designed!